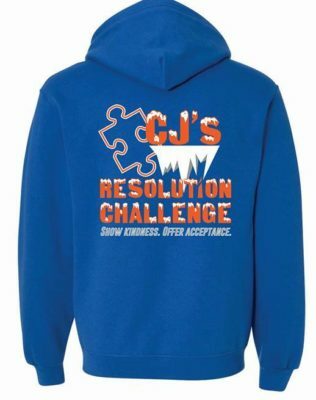 One of my favorite races of the year CJ’s Resolution Challenge was held on January 6, 2018. CJ’s raises money for organizations promoting autism awareness, a cause near and dear to my heart. This race has a unique format. You select the type of race you want to do when you register. You can choose from RC Revolutions or Last Man Standing. Both races are run on the same 1.6 mile loop in R. B. Winter State Park outside of Mifflinburg, PA. If you choose RC Revolutions, you are trying to see how many loops you can finish in three hours. For Last Man Standing, you have 20 minutes to complete the first loop, 19 minutes to complete the second, 18 minutes to complete the third, until….well, the name of the race says it all. My husband and I went to packet pick up, which was in a relatively warm heated tent, got our bibs and hoodies, along with a doughnut and some hot coffee, and went back to the car to stay warm. At 9:00, we got some brief pre-race instructions and were off! The course is half trail and half gravel road. Both travel through the woods of the state park. The trail is not entirely flat, but there is not much elevation change. Same with the road. The trail was entirely snow covered. The road was about 2/3 snow covered. We finished loop 9 at 2:57. We could have done another loop, since according to the rules of the race, as long as you start your last loop before three hours, it counts, but we were both ready to be done. We collected our wooden medals then went back into the pavilion one last time for some more delicious soup, chips, whoopie pies, peanut butter cookies and hot chocolate. We did not stick around too long, because even with the fire and heaters, we got cold sitting after we finished running. Click HERE to read my review.